Here is our suggested list of fabulous things to do in Puerto Vallarta, Mexico. A sip of Tequila and a walk on a sun blessed beach make the start of a perfect vacation. Add to that the charm of Mexican heritage, delicious exotic cuisine, friendly locals and you are set for an adventure of a lifetime. Puerto Vallarta offers something for everyone. Sports lovers can zipline, ride an ATV and scuba dive. Families can enjoy a relaxing bike ride or a swim with the dolphins. Groups can learn how to cook up a storm and then party the night away at trendy hotspots. Visit a beautiful botanical garden and snap photos of a boy on the back of a seahorse, these are some of the top Puerto Vallarta activities available! Spend a day exploring one of the most beautiful cities on earth. Taking a day tour is the next recommended thing to do in Puerto Vallarta. The Las Caletas Day Tour from Puerto Vallarta will take you on an eye-opening journey through Mexico’s very own Garden of Eden. Head to Banderas Bay and discover Las Caletas, which is only accessible by sea. This untouched jungle with pristine sandy beaches set against a backdrop of towering green forestry will certainly take your breath away. Choose from a day just relaxing on the edge of the shore in the golden sunshine or do a spot of exploring around the cove. 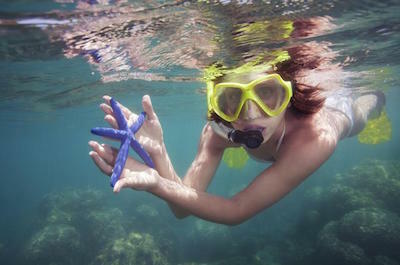 Try snorkelling or scuba diving the stunning reefs located just off the shore. Once hunger calls, enjoy a Paella cooking lesson and then explore the interactive parrot centre filled with colourful birds of all kinds. Other day trips include a trip to Rincon de Guayabitos and Punta Mita, one of the top Puerto Vallarta activities, where you can learn to surf and taste traditional Mexican tequila. 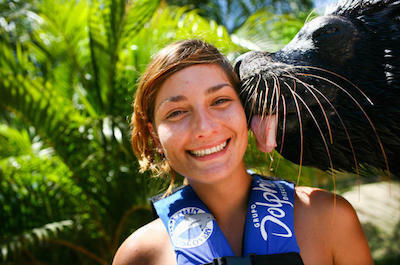 Get up close and personal with the friendliest creatures of the sea. 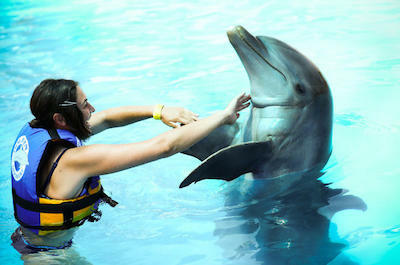 Introducing yourself to a dolphin is certainly a life-changing thing to do in Puerto Vallarta. Head to the Dolphin Adventure Center in Nuevo Vallarta and have the opportunity to swim with the amazing, gentle bottlenose dolphin. Spend an hour interacting with your new friend, complete with cuddling and kisses. When you are are all cuddled out, let the dolphin take you on a thrilling belly ride. Spending time with these incredible creatures will amaze you at how intelligent and loving they can be. During your interaction, your guide will explain interesting facts about the bottlenose dolphin and many other marine creatures. Take it to the next level and visit the Aquaventuras Park where you can enjoy a amazing high-speed swim with two dolphins. As water rushes past you, you will feel completely free as the dolphins pull you along with their dorsal fins. An unbelievable experience. Fancy a dinner and a show? One fun thing to do in Puerto Vallarta is to be entertained all night long. Why not try something traditional and experience the true legacies of Mexico, namely Mariachi, Tequila, Charro and a folkloric show. Start at the Viva Tequila Museum with a complementary Margarita and tour of the production of the famous Mexican tequila. Enjoy a tequila tasting led by a Tequilero Master before settling down to watch a folklore show with a Mariachi band and dinner. Want to treat your loved one? Why not take the Puerto Vallarta Sunset Cruise and Candlelight Dinner Show Tour and enjoy the true Mexican rhythm of the night. Cruise across Banderas Bay as the sun dips low in the sky. Disembark for dinner in an isolated cove and feel like you are in a romantic movie with candles lighting your table and the ocean lapping at your feet. 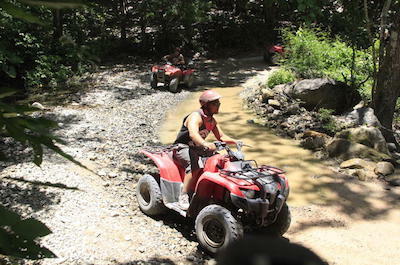 Heading off the beaten trail on an all-terrain vehicle is one of the most adventurous things to do in Puerto Vallarta. With a variety of tours on offer including the Puerto Vallarta Adventure Tour complete with a zipline and waterfall rappel and a speedboat ride, you will surely satisfy your adrenaline junkie craving. Zoom along on your ATV and take a detour through El Sato’s natural pools spraying the crystal clear water up onto your bare skin. Next, head to El Eden jungle with a stop at Los Arcos, a stunning ocean viewpoint, made for snapping the perfect picture. Drive into the jungle passing under large indigenous greenery and along riverbanks. Not only is El Eden a little piece of paradise but it was also the film set for the movie ‘Predator.’ End the day by riding to Boca de Tomatlan for a bite to eat, one of the top tours in Puerto Vallarta and a special treat if you love seafood! One of the most exhilarating things to do in Puerto Vallarta is to fly over the rainforest via zipline. For some of us that need a little bit of an incentive for climbing up onto a platform and zooming over the Orquideas River at high speed, miles above the ground, the Ziplining in Puerto Vallarta Original Canopy Tour is just perfect because you will zoom right into a tequila bar and restaurant to calm your nerves. 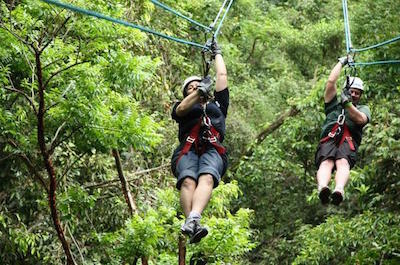 Another option is to head to the majestic Sierra Madre Mountains and enjoy ziplining in the deep jungle forest. This is where you will find the longest zipline in Mexico, reaching speeds of up to 60 miles an hour! This will certainly give you the best view of the magical rainforest below filled with spectacular creatures and vegetation. When you reach the end of the zipline you will rappel down the mountain to the suspended bridges below. An absolutely thrilling experience for the brave! If searching for dolphins, whales, giant manta rays and sea turtles sounds like a perfect day out, grab your snorkelling gear and explore the crystal clear waters with the Marietas Islands Cavern Swim and Snorkel Cruise Tour. Set off to Banderas Bay, a perfect snorkelling spot, filled with secluded beaches, great for a little time out. Spend the day in the sun, snorkelling swimming and tanning. If you fancy a bit more of a challenge head to Los Arcos for an amazing snorkelling expedition. Snorkel amongst naturally formed caves that are home to magnificent colourful tropical fish and marine life. You will be completely amazed by the granite rock formations arching above you. This area is completely protected, offering a glimpse at rare, natural beauty. Now that you have experienced one of the best things to do in Puerto Vallarta, head to Las Animas Beach for a dip and some relaxation in the sun. 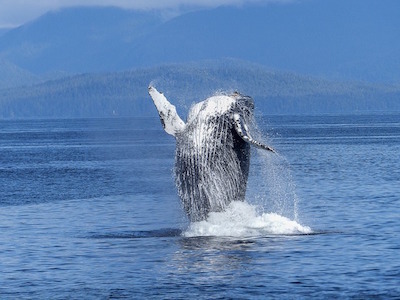 The humpback whale is certainly a site that you will never forget! Spend a day out on a boat and be enthralled by the sheer power of these gigantic mammals, a memorable thing to do in Puerto Vallarta. With an experienced guide, who is also a qualified biologist, take a journey of whale discovery. As you drift through the crystal waters, bottlenose dolphins surf the currents next to the boat and leap playfully alongside you. As you approach the whale's resting site, you can see them leaping in the distance. Whales breach at certain times of the year and create massive waves as their heavy bodies plummet back into the water. Spot as many whales as you can, you may even see a cheeky whale calf alongside his mum. Enjoy lunch on board as you keep one eye on the water, you can’t help yourself for wanting to see more of these incredible creatures. Surf's up, man! Enjoy a day in the salty sea water learning to surf, a great thing to do in Puerto Vallarta if you have never tried this before. Don't panic, the instructors are waiting to teach you how to catch some serious waves and look good at the same time. Head to Sayulita and Punta Mita on a day trip with some amazing scenery as your backdrop and the pristine Banderas (not Antonio) Bay in the distance. Grab a board and spend some time in the water learning to ‘pop up’ and ‘duckdive.’ Feel like you aren’t quite ready to go out with a group? No problem, enjoy a private surf lesson in the Caribbean waters of Puerto Vallarta. Your instructor will run through the basics on the beach and then it is time to head out into the water. 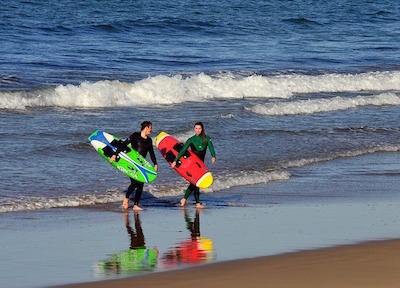 By the end of the lesson, you are sure to have caught a few good waves and have had loads of fun. Can you think of anything more romantic than sailing the Caribbean waters as the sun slowly disappears behind the horizon lit up with incredible, warm pinks and oranges? 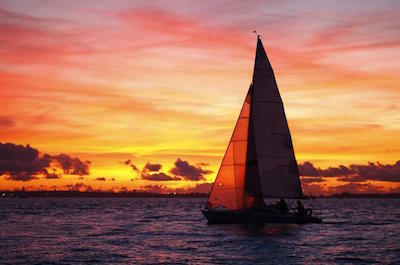 Sailing on the iconic Banderas Bay is one of the most romantic things to do in Puerto Vallarta. With the Sunset Sailing on Banderas Bay Tour, you will be treated to magnificent views only seen from the water and a tranquil atmosphere that is often only dreamt of. Your partner will certainly be thanking you for such a wonderful time as you clink together glasses of bubbly as a toast to the setting sun. Prefer the sunshine? Enjoy a day sailing cruise and soak up the Caribbean sun on deck as you glide through the crystal clear waters. Stop off at an awesome secluded spot and dive into the water. Swim and snorkel till to your heart's content before climbing back on board for a refreshing exotic cocktail. 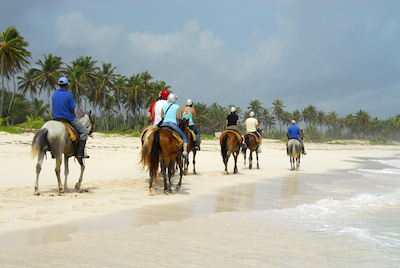 Spend a day in paradise by discovering mystic waterfalls, pristine coastlines and unspoilt beaches on horseback. Horseback riding is a fantastic thing to do in Puerto Vallarta and with the Puerto Vallarta Combo Tour, where you are sure to see the wonderful hidden gems this paradise has to offer. Saddle up at a remote authentic fishing village and ride through the Sierra Madre mountains to a mystic waterfall plummeting high above you. Stop here for a refreshing swim in the natural, mineral filled water. Rehydrate and then continue your ride back to the enchanting hidden village of Pizota. This idyllic spot is home to the most spectacular beaches scattered with beach hammocks and kayaks bobbing in the water. Work on your tan while sipping on a delicious naughty cocktail straight from a coconut, with a little umbrella of course! End your tour back at Puerto Vallarta with a new tan, feeling completely relaxed. 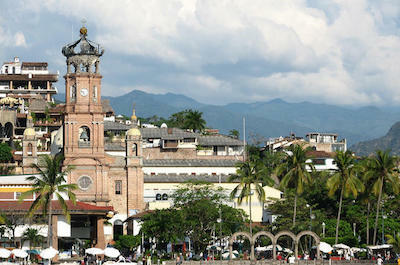 One great thing to do in Puerto Vallarta is get the city vibe by checking out the sites! Grab your comfy shoes and camera and set off for an enjoyable day out. Join the Puerto Vallarta City Tour and visit all the most interesting places including City Hall, the Malecon, Guadalupe Church and Rio Cuale. Keep an eye out for the seahorse, a huge statue gracing the shores and a must-have photo! Then, head to beautiful Puerto Vallarta Botanical Gardens where you can take in the wonderful, colourful sites of the plant life that surround you and then sit down to enjoy a delicious bite to eat. The tour also visits a tequila factory where you will learn the secrets of how this iconic drink is made. End your day in the rainforest enjoying lunch and a tequila (off course) with a shake of salt and slice of lemon. 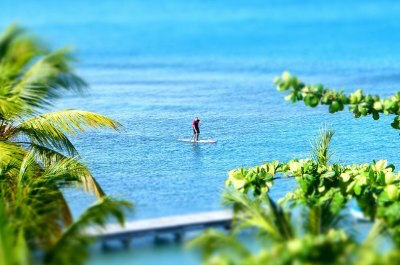 Stand up paddle boarding is certainly a recommended thing to do in Puerto Vallarta. Never SUP’d before? No problem. A lesson with a fantastic instructor will have you standing up and paddling in no time. Get into the water and learn how to stand up and balance on the board, how to navigate the board and how to have the most fun as possible! Once you have got the knack for Stand Up Paddling, your guide will take you on a tour of the Puerto Vallarta coastline. You will cruise in the crystal clear warm water all the way to Le Catedral. After you catch your breath continue onto the pier. The fantastic part of this cool thing to do in Puerto Vallarta is that you can paddle along the coastline in the morning or at sunset, each guaranteeing a different aspect the spectacular views. Certainly a lot of fun in the sun! Cruising the Caribbean waters is the next fantastic thing to do in Puerto Vallarta. Take one of the many cruises on offer including the South Shore Private Sightseeing Cruise Tour. Start your day by climbing on board and enjoying a full continental breakfast. Once your stomach is satisfied, lie on the deck in the decadent warm sun while snapping photographs of the beautiful island scenery. Sip on a cocktail as you reach Mike’s Beach Club where sports lovers will enjoy a variety of water activities including snorkelling and paddle. If you are a fishing fanatic, join a tour on the Karina II, a custom fishing boat that will take you to the perfect fishing spot where you can catch that big one. Then jump into the water and do a bit of snorkelling, you might even spot a cheeky dolphin. Back on the boat, the crew will get you as close as possible to any whales in the area, so that you can snap the perfect picture. Learn all about the culture of Mexico, from tasting Mexican cuisine to learning about the production and tasting notes of tequila and listening to a traditional Mariachi band. 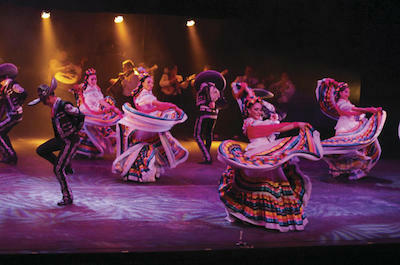 Experiencing the true culture of Mexico is a highly recommended thing to do in Puerto Vallarta. Enjoy one of Mexico’s most famous dishes, the all incredible taco. This lip-smacking little gem can be found on most streets corners, but the best place is to head downtown for the authentic pozole, sopes, enchiladas and sweet regional candies. Another great thing to do in Puerto Vallarta is tequila. Take the Puerto Vallarta Tequila Tasting Tour and sample a variety of different tequilas. Tasting options range from ‘The Beginner’ the perfect way to learn about all things tequila, to ‘The Connoisseur’ a way to cultivate your appreciation for this wonderful spirit. For the brave, try ‘The Mezcalero’ a rare tequila that seldom leaves the country! Then set off for a 5 hour cooking class where you will learn to make traditional dishes while having a blast with friends, family and a great teacher chef. Get dressed up and hit the town in style. 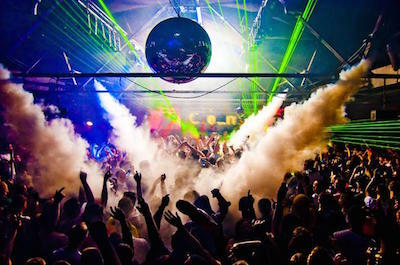 Visit some of the hottest nightclubs with a local nightlife guide and dance the night away to the sounds of the best DJs in Mexico and feel like a VIP. 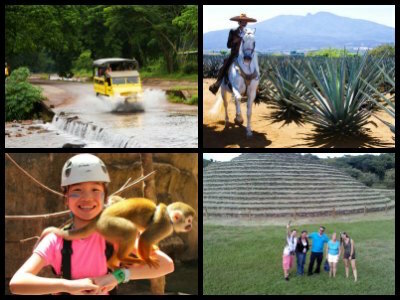 For those who aspire to a different lifestyle, there are exciting things to do in Puerto Vallarta. Take the Gay Bay Hopping Tour Including Dinner and Cabaret. An evening of fun, laughter and entertainment is certainly on the cards. 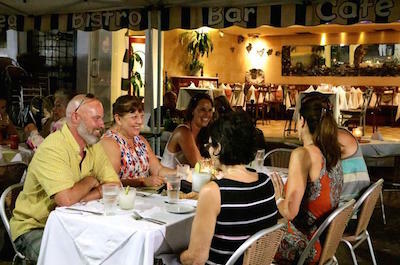 In the heart of Old Town Puerto Vallarta, you will enjoy a delicious 3-course meal at one of the best restaurants in town. Alternatively, feel like celeb when our local guide takes you to famous venues like La Vaquita, The Zoo Nightclub and Hilo. Party at the most hip and happening hotspots with drinks and dinner thrown in. After dinner, enjoy a scintillating cabaret show packed with gorgeous girls, stunning costumes and amazing acts. Get cracking in the kitchen and spend some time learning to make incredible food that will make your friends think you are a Jamie Oliver in the making. 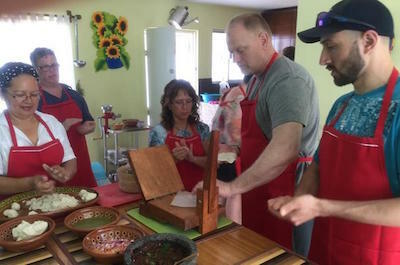 Taking a cooking class is one of the tastiest things to do in Puerto Vallarta. First, set off to the local produce market and pick up some fresh, all-natural ingredients. Then, head to the local tortilla factory and pick out the perfect dough for the best tortillas you have ever tasted. Now, get the pan on the fire, and head to master chef’s house where he will teach you to make a variety of delicacies including fresh fruit juice and traditional salsa. Other dishes you will make include tamales and tacos. If you are feeling particularly food inspired, try your hand at mole poblano. Sit down with the rest of the aspiring chefs and enjoy the meals that you have prepared. A fun experience for a group! Did you know that the Sea Lion is often referred to the Canine of the Sea? These playful creatures enjoying basking in the sun and lazing on rocks, however, there is so much more to them. With the Sea Lion Discovery at Aquaventuras Park with Entrance Ticket tour, you will have the opportunity to discover the true nature of a sea lion up close. Once you have received a fishy high-five from one of the wonderful seals at Aquaventuras Park, head out to sea to find the magnificent humpback whale. As your boat nears the resting site of these great mammals you start to see sea spray in the distance. Depending on the time of the year, you may see the awesome sight of these incredible beasts launching themselves out of the water. Keep your camera handy at all times, you will certainly be making memories on this tour. Diving deep into the depths of the ocean is a fabulous thing to do in Puerto Vallarta. 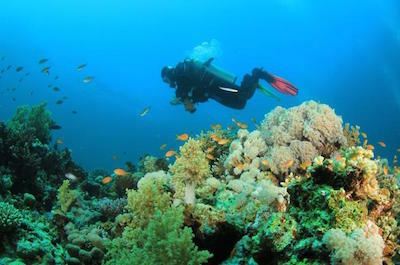 Whether you are a beginner or a certified diver, there is a tour for you. If you have always wanted to explore the underwater Eden of the Caribbean, you are in luck! Head to Las Caletas, a great place to learn how to scuba dive. Here you will be able to explore underwater caves and colourful reefs filled with tropical marine life. For certified divers, head to some of the best dive sites in Banderas Bay complete with wall diving, exploring caves, reefs and underwater eco-reserves. Spot colourful fish as well some of the most incredible marine life that call the Caribbean waters their home. This will certainly be a dive of a lifetime so make sure you have your underwater camera with you. Food, Glorious Food! Going on a food tour is certainly a favourite thing to do in Puerto Vallarta. Set off on foot and become a local foodie in no time. With the Downtown Puerto Vallarta Food Tour, you will not only taste some of the most delicious Mexican local food but will also discover the rich history behind this amazing cuisine. Best not to have anything to eat before you start this tour because you will stop at 9 specially chosen food tasting places. Meet the wonderful people behind the famous food stalls and restaurants. Try the famous Mexican taco from Robles Famous Birria Taco Stand and leave with a deeper understanding of the culture in Mexico. Alternatively, head to Pillai a neighbouring town and explore its unique Mexican flavours. By the end of the evening you will know all about savory Cochinita Pibil and tuna stuffed Jalapeno. Whichever you chose don’t forget a glass of Tequila - a must things to do in Puerto Vallarta - to end off your night on a great note! Cycle the city with the El Malecon Boardwalk Bike Ride Tour. 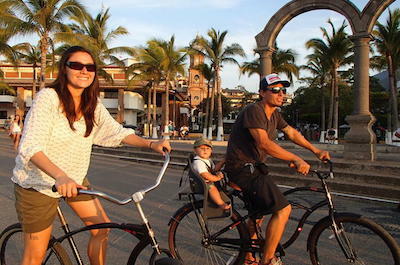 A great family thing to do in Puerto Vallarta is to enjoy the scenery of the boardwalk by bicycle. Ride along with your fantastic guide as he points out iconic sites including the Cathedral, the pier and ancient lighthouse. Stop at Cuale's art crafts market and pick up a souvenir for yourself or a present for a loved one at home. The market is well equipped with some of the best tequila, be sure to have a tasting. Enjoy some delicious lunch in true Mexican fashion. Make sure not to try too much tequila as you head back along the boardwalk with a stop for ice-cream, not just any ice-cream, but an old Mexican recipe. Should you prefer some tranquil things to do in Puerto Vallarta, head to San Juan Bajo and take in the wonderful scenery all around you in this Mexican rural farmland. If you are a fishing fanatic what better way to spend the day out at sea looking for the perfect catch? 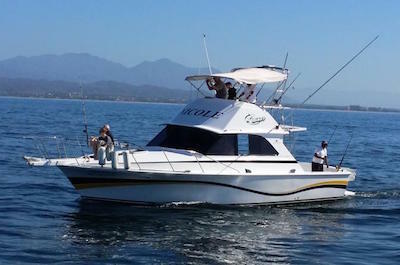 A great thing to do in Puerto Vallarta is to take the Private Fishing Boat Tour Aboard the Nicole. This tour in Puerto Vallarta is just for you and your friends and you will get to sail across the bay in style with your friendly guide at the wheel. The crew will organize state-of-the-art fishing gear and teach you the basics if you don’t already know them. Cruise along the water at 14 knots an hour to the perfect fishing spot. Learn about new fishing techniques and hopefully get the catch of the day! Jump into the water for a bit of snorkelling and marvel at the gorgeous colourful fish swimming below you. You might even spot a manta ray. This is only one of the many fishing tours you can take in this exotic destination. If you have ever wanted to experience a very intense rush of adrenaline then the best thing to do in Puerto Vallarta is to visit Skydive Vallarta. Don’t worry, if you have never skydived before Skydive Vallarta is the perfect place to go on that tandem jump with an expert instructor that will put your safety first. You will be amazed at the incredible adrenaline rush you will experience when you step out of the airplane from 10,000 feet and freefall for 45-seconds while reaching speeds up to 120 miles per hour before your instructor pulls the ripcord. Once your parachute is activated you will be delighted with the 5 to 7-minute floating adventure which gives you a bird’s eye view of the surrounding beaches, mountains, rivers, Puerto Vallarta and the Pacific Ocean. When your feet touch the soft sand on beach when landing your adventure of a lifetime will surly leave memories for lifetime. Experienced skydivers will be pleased with the certification courses that are offered at Skydive Vallarta which includes an accelerated free fall program.